This building started live as the Sandhurst Gaol which was opened in 1863 in the regional town of Bendigo in Victoria. 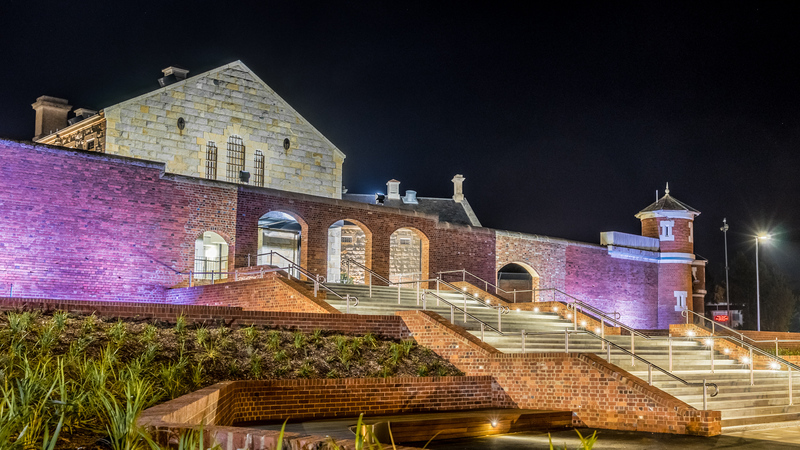 In 2015 it found a new life as the Ulumbarra Theatre and associated art facilities. The goal cells and wrought iron stairs and access remain as reminders of a grim past. The word Ulumbarra is a Dja Dja Wurrung word meaning "gather together". Drive, there is plenty of parking available. Public transport is available from Melbourne to Bendigo. If that is your means of travel then once in Bendigo a taxi would be your bet bet.